How do you prefer your sprouts? Boiled? Steamed? Roasted? Pan-fried? Or something else? 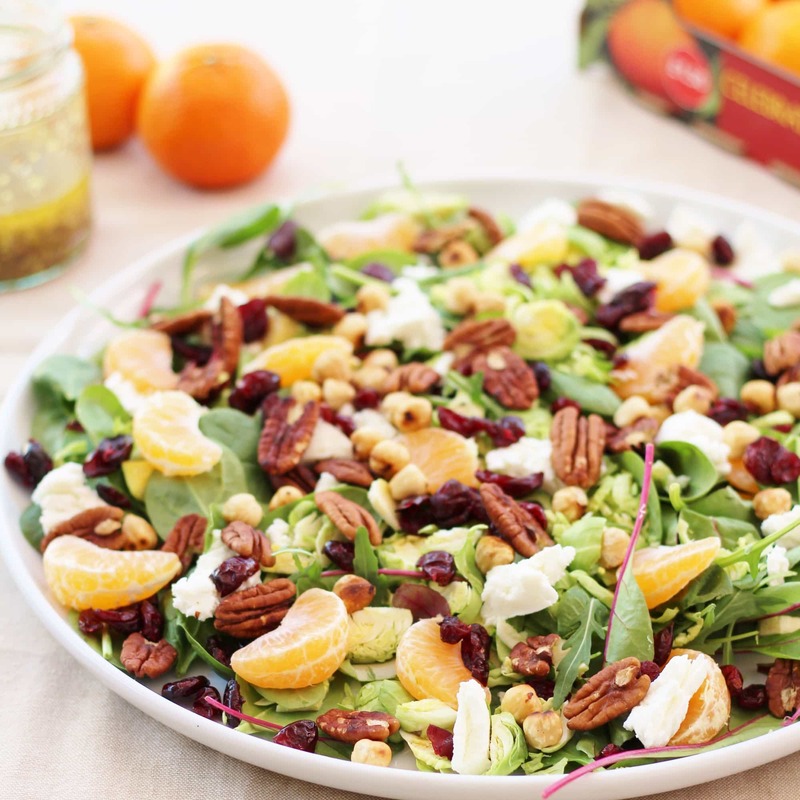 How about not cooking your sprouts at all this year and trying them raw in a salad – like this delicious Sprout Salad with Cranberries, Pecan Nuts and Clementines? There’s always huge debate each year about the best way to cook sprouts, isn’t there? Some prefer boiling their sprouts to death, while others prefer to steam, roast or fry. But this year I got to thinking, what if I don’t cook them at all? Do sprouts taste nice raw? I first tried out my raw sprouts idea by making Sproutslaw – coleslaw, but with sprouts – which I paired with my Christmas Turkey Burgers. And I was rather pleased with how good sprouts tasted raw, especially when grated into coleslaw and slathered with mayonnaise!! Armed with my new found love of raw sprouts, I set about making a raw sprout salad – I’ve thrown in lots of other delicious Christmassy flavours too…cranberries, pecan and hazelnuts, clementines…and also some lovely salad leaves, I went for a mix of baby spinach and baby chard, and some goat’s cheese which I just think sets off all the other flavour beautifully. If you want to make this simple salad vegan or dairy free, just leave out the goat’s cheese – it will still taste very good! 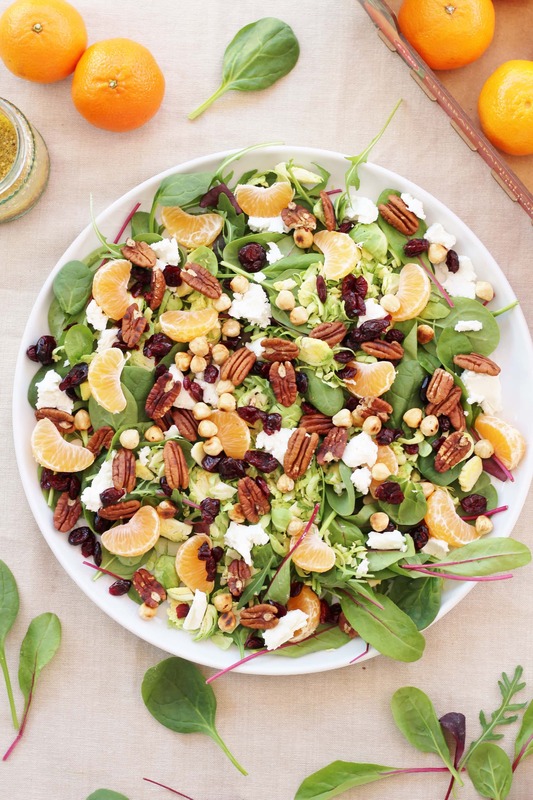 Alternatively, if you just can’t stomach the idea of raw sprouts, leave the sprouts out and this will still be a lovely, delicious Christmassy salad even without the sprouts!! And, of course, feel free to try this with other nuts too…I think some toasted walnuts or almonds would be lovely here too! 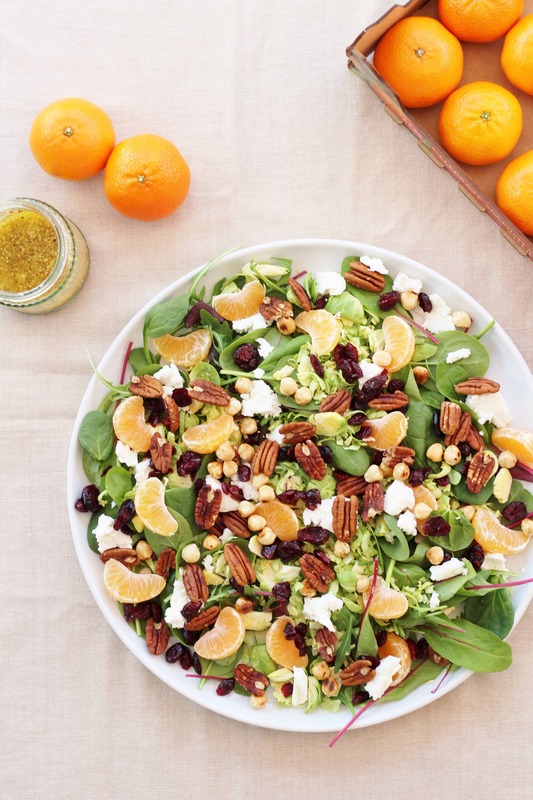 This salad is filling enough to be a delicious vegetarian meal in its own right, maybe with a chunk of crusty bread or stuffed in a pitta. Otherwise it would make a lovely side dish to my Mulled Wine Christmas Ham or Gin Brined Chicken…or even on Christmas Day itself, either as a starter or a side dish to your turkey (or whatever you are having this year!). If you are looking for more inspiration for cooking your sprouts this year, do check out my Easy Christmas Vegetable Traybake, where I roast all the essential Christmas veg in one tray in the oven. 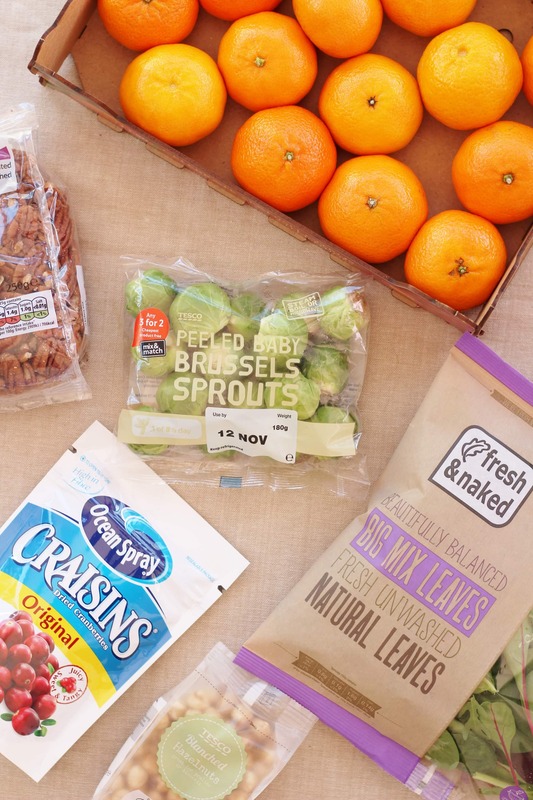 And for even more inspiration, check out the mammoth sprout post I wrote last year: How to Make Sprouts Interesting, featuring 7 different, easy peasy ideas for sprouts!! How do you prefer your sprouts? Boiled? Steamed? Roasted? Pan-fried? Or something else? 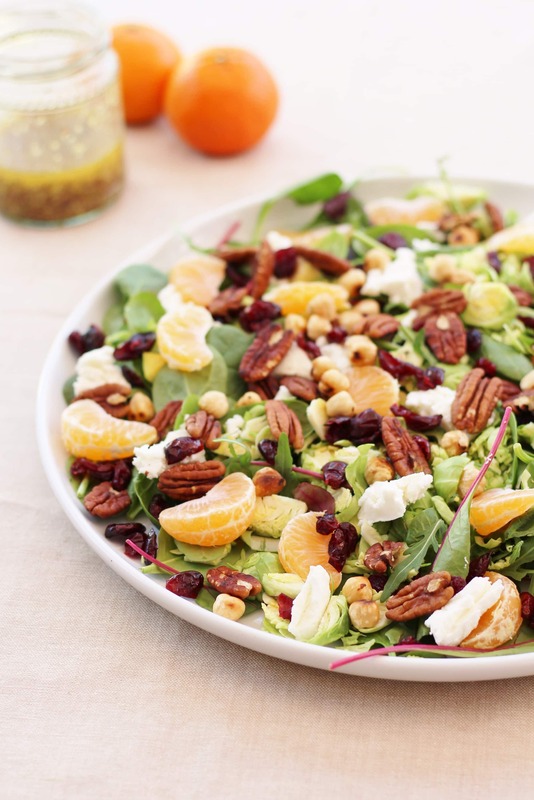 How about not cooking your sprouts at all this year and trying them raw in a salad, like this delicious Sprout Salad with Cranberries, Pecan nuts and Clementines. Lightly toast the nuts in a frying pan over a medium heat, taking care not to burn them. Remove the nuts from the heat and tip into a small bowl. Allow to cool a little. 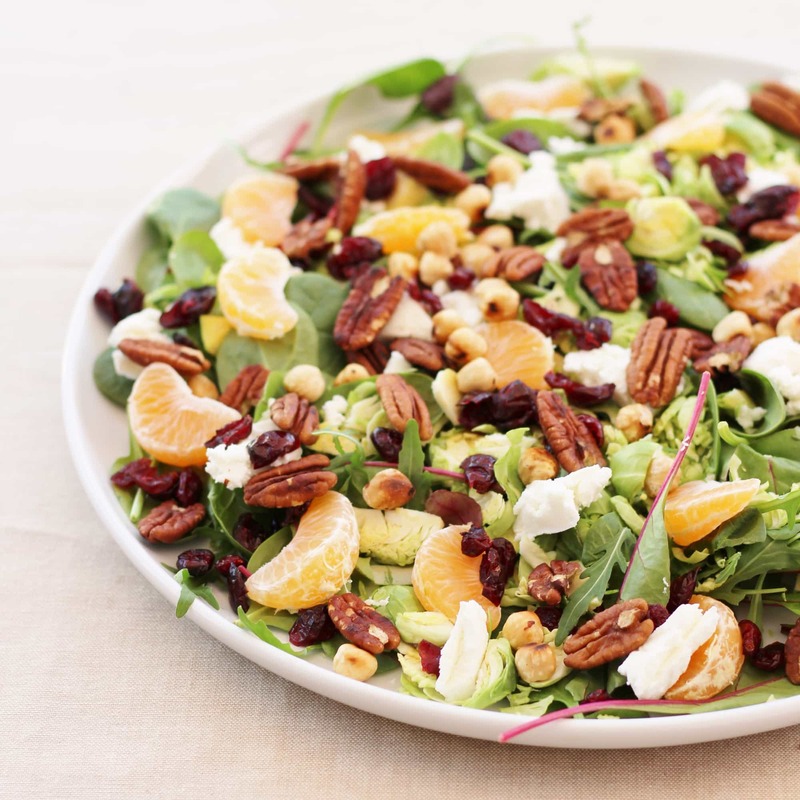 Meanwhile arrange the salad leaves on a large plate and scatter over the sprouts, cranberries, clementine segments and goats cheese, then sprinkle over the nuts. Mix together the ingredients for the dressing (I use a small jam jar, so I can give it a good old shake) and drizzle over the salad. Serve as a main meal with crusty bread, as a starter or as side dish to chicken, ham or turkey. I like roast sprouts the best (and stir-fried but they’re a bit of a faff as you have to keep an eye on them). That said, whenever I cook sprouts I always nibble on a few raw ones while I’m doing any prep so I suspect I’d really enjoy this salad. I absolutely love sprouts Eb, but having always steamed them I must admit that I’ve never tried them roasted never mind raw. But given that (I think) they’re a brassica like cabbage which we can eat raw I imagine they’d be lovely. 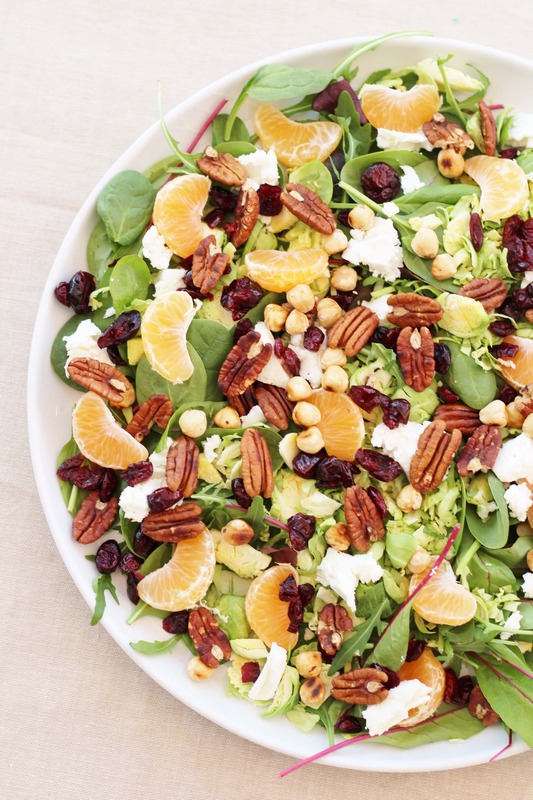 Even though we’ve not had Christmas day yet and all of the indulging in rich food which goes with it I really fancy trying this salad now. I bet it’d be lovely on a buffet table too with all of those colours.